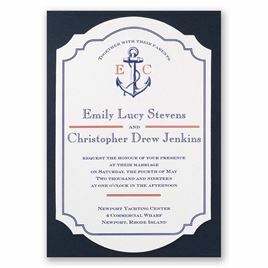 When you're getting away from it all to say, "I do," Invitations by Dawn has the perfect destination wedding invitations for you. 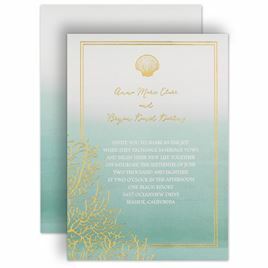 Send invitations with seashells, starfish or palm trees for beach celebrations. You’ll find tropical wedding invitations with lush hibiscus and other florals as well as grape designs hinting at a vineyard wedding. 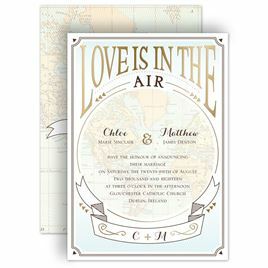 If your destination is Paris or Las Vegas, you'll find fun and romantic wedding invitation styles with lots of ooh la la! 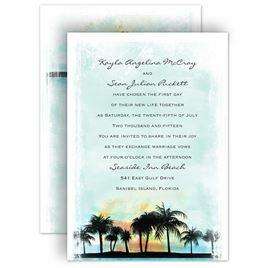 For guests who aren't able to attend, be sure to send out wedding announcements.